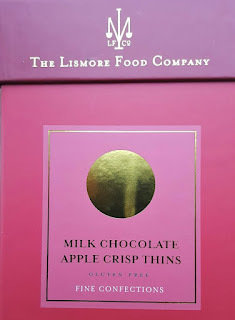 Came across the Dark Chocolate Apple Crisp Thins by the Lismore Food Company about a year ago and immediately made it Taste of the Week. Now they have a Milk Chocolate version and, yes, it is the current Taste of the Week. 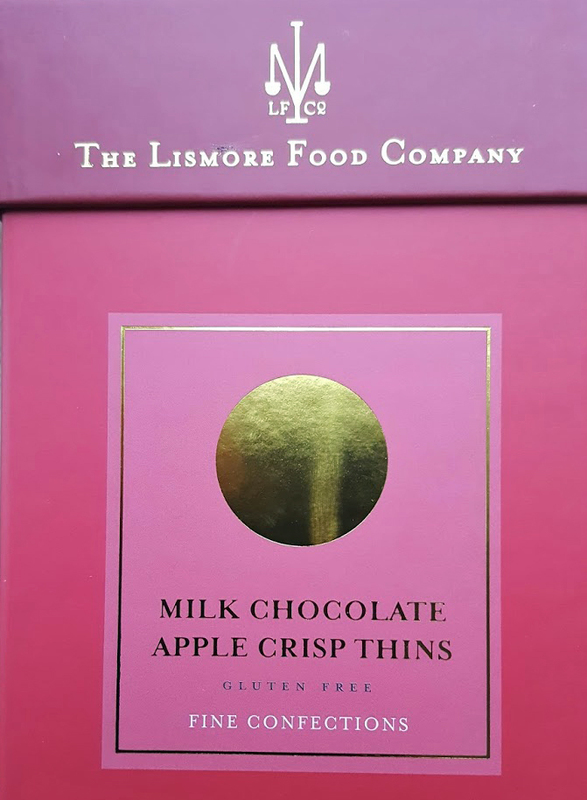 Divine apple thins (air dried) are wrapped in the finest milk chocolate and are hard to resist. I just don’t bother. Best enjoyed alone – or for sharing if one must! The three people driving Lismore Foods are Beth-Ann Smith and the Madden brothers Owen and Ken. 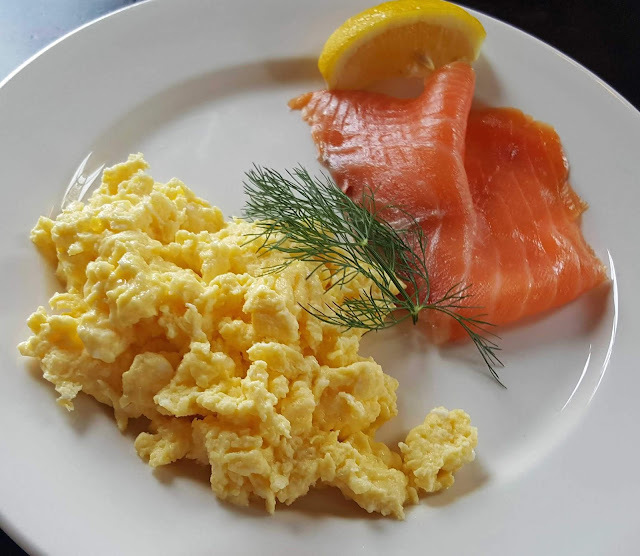 Beth-Ann Smith’s family history in food stretches back to Smith’s Stores, a fine food delicatessen and bakery on Cork’s Patrick Street. Having trained at Ballymaloe Cookery School she is now the head chef at Lismore Castle. The Madden’s family opened a bakery and public house on Lismore’s Main Street in the early 1800’s. Now called ‘The Summerhouse’ and home to The Lismore Food Company, they continue this rich tradition of baking in the same historic location. The three came together in 2014 and their distinctively packed goodies are now seen on all the best shelves. Their sweet biscuits are perfect with tea, coffee or with dessert while the savoury are ideal with cheese and a glass of wine.